If you dip below when buying an overclockable motherboard, it’s unlikely to be an Intel model, simply because only pricey motherboards based on Intel’s Z270 can take advantage of its K-series unlocked processors. However, AMD’s budget-focused B350 chipset allows you to overclock AMD’s Ryzen CPUs, providing scope to build cheap, overclockable systems. 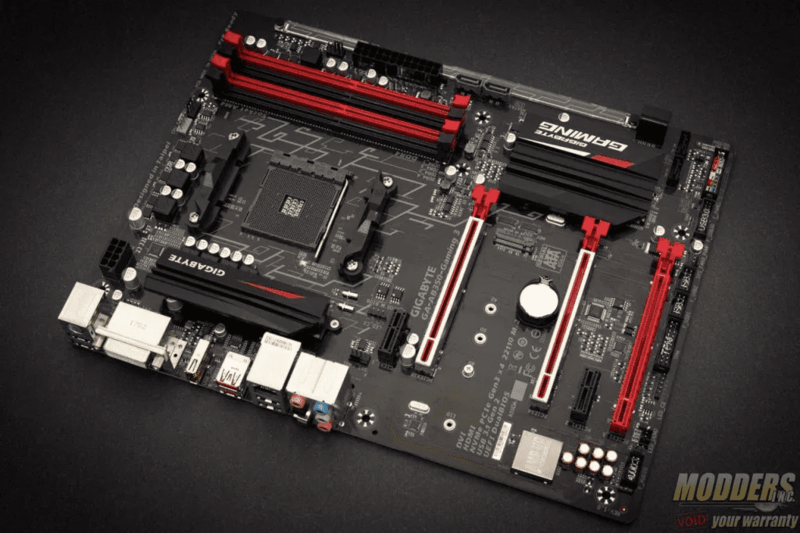 The micro-ATX Gigabyte AB350M-Gaming 3 is one of the cheapest B350 chipset boards around – less than the Intel equivalent. 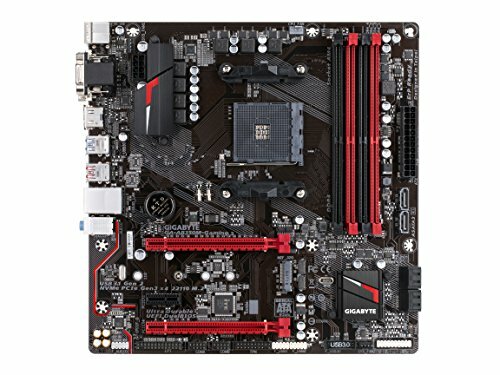 It’s not going to win any medals for aesthetics, and Gigabyte has taken an axe to the specs to get down the price too. The most obvious omissions are the large heatsinks that we’ve seen on more expensive B350 and X370 boards, which could mean the Gigabyte isn’t the best board for getting a Ryzen CPU to a long-term lofty overclock. As it’s a micro-ATX board, it also has the usual reduction in PCI-E slots. The audio has also been trimmed, with Gigabyte opting for Realtek’s ALC887 codec instead of the newer, better – performing ALC1220 codec found on the company’s ATX- sized AB350-Gaming 3 board. There are also just three audio jacks on the rear I/O panel and no optical output, and while the audio circuitry sports some red illumination, there’s no other on-board lighting or RGB LED headers. As you’d expect at this price, there are no overclocking or testing tools such as on-board power or reset buttons either, and you’ll have to short some pins to reset the CMOS too. There are also just three fan headers and no USB 3.1 Type-C port, but you do get two Type-A ports. 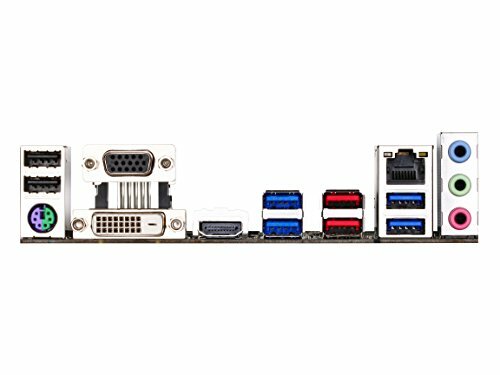 The rear I/O panel is reasonably populated too, with an additional four USB 3 ports and two USB 2 ports, plus several video outputs to cater for AMD’s future APUs with integrated graphics. The rest of the specification is solid, and easily able to handle a system packed with the latest hardware. For example, you get a USB3 header and a 4x PCI-E NVMe M.2 port that also supports SATA-based SSDs, while the six SATA 6Gbps ports will be enough for anyone building a budget system. There are two 16x PCI-E slots and a single 1x PCI-E slot too, although using the latter could clash with graphics card fans, depending on the size of the cooler The layout is mostly fine, although the USB 3 header isn’t ideally placed at the bottom of the PCB, and the 8-pin EPS 12V connector is placed extremely close to the VRM heatsink. There’s plenty of room around the CPU socket, though, and four of the six SATA 6Gbps ports are right-angled for a neater look. Meanwhile, Gigabyte’s software and EFI system tally with its more expensive boards, which is good, as you get many of the same features. The EFI, as usual, looks dated compared with MSI and Asus‘ efforts, with a less streamlined layout, but the fan control section is great, providing the ability to switch off system fans under low loads and even control them from sensors other than the CPU. Each header can control fans using PWM or direct voltage, which is useful for 3-pin fans. You can make these tweaks within Windows too, using Gigabyte’s System Information Viewer software and Easy Tune, which also allows for some fairly detailed overclocking. The AB350M-Gaming 3 returned some solid performance numbers at stock speed, and its system score of 161,190 was second only to the Asus Crosshair VI Hero in our AM4 motherboard tests so far. We then applied our usual 1.425V vcore, although this process involved adding around 0.26V to the default vcore, as you can’t input a figure manually. There’s also no loadline calibration option, which we’ve seen help some other Gigabyte boards recently. decent overclock, although even upping the vcore to 1.44V didn’t yield a higher result. 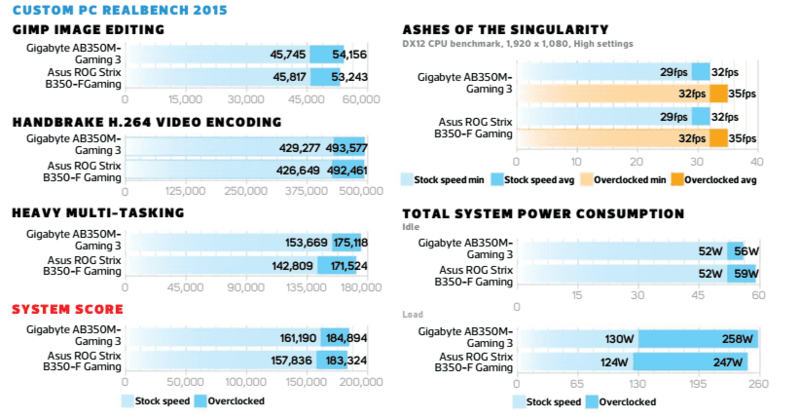 The overclocked system score was quick, though, with its system score increasing by 15 per cent, bettering all but the Asus Prime X370-Pro. The gaming results were right on the money too, matching the Asus ROG Strix B350-F Gaming, and the board had no problems pushing our storage drives to the limit, with a read and write speed of 3,345MB/sec and 1,802MB/sec respectively using a Samsung 960 Evo SSD. Finally, using RightMark’sAudio Analyzer software, the audio system’s dynamic range and noise level hovered around 92dBA and -92dBA respectively. These results are acceptable, but they’re a long way off the 105dBA and -104dBA we saw with the AB350-Gaming 3, which has better audio fidelity. 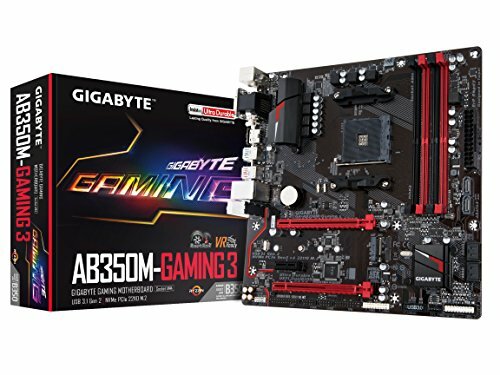 Expecting features such as the latest audio codec and RGB lighting from an motherboard is asking too much, but in most other areas, the Gigabyte AB350M-Gaming 3 offers enough features to build a capable modern system. It overclocked our Ryzen 71700 to3.9GHz, It has plenty of SATA ports, a PCI-E M.2 port and a generous amount of USB 3 ports. 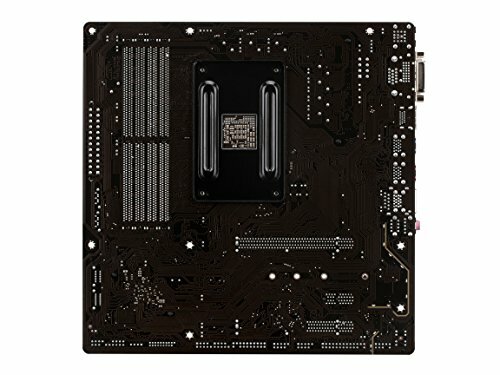 If you just need a solid AM4 board and plan on applying a reasonable overclock to your Ryzen CPU, then it’s a great buy whether or not you have a micro-ATX case. However, if you’re gunning for a high everyday overclock, we recommend buying the Asus ROG Strix B350-F Gaming, which has better cooling as well as RGB lighting and higher-performing audio. 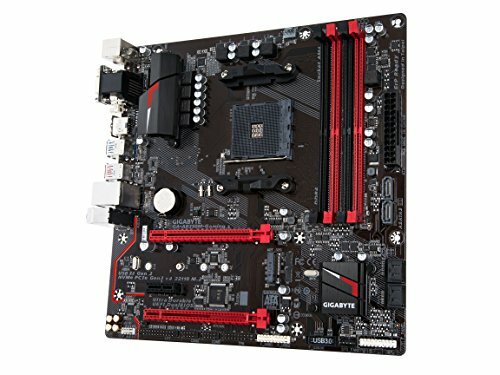 An ideal AM4 motherboard for a budget micro-ATX system, and it overclocks well too, but it's not particularly feature-rich.